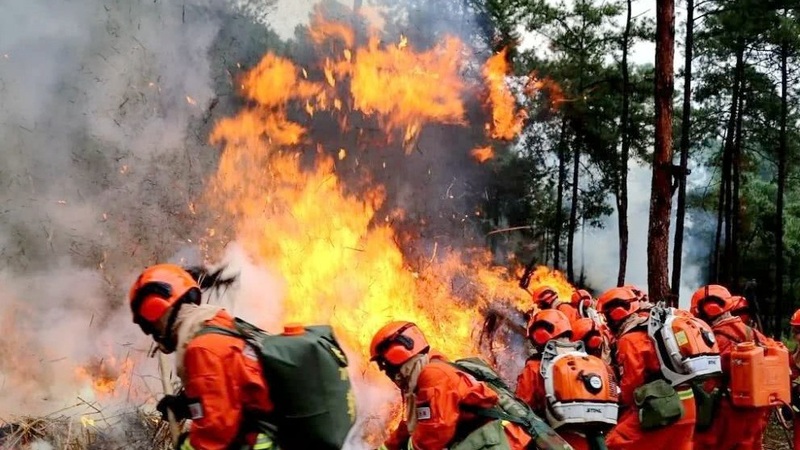 A forest fire that killed 27 firefighters and three locals in Sichuan province a week ago started to burn again Saturday afternoon. 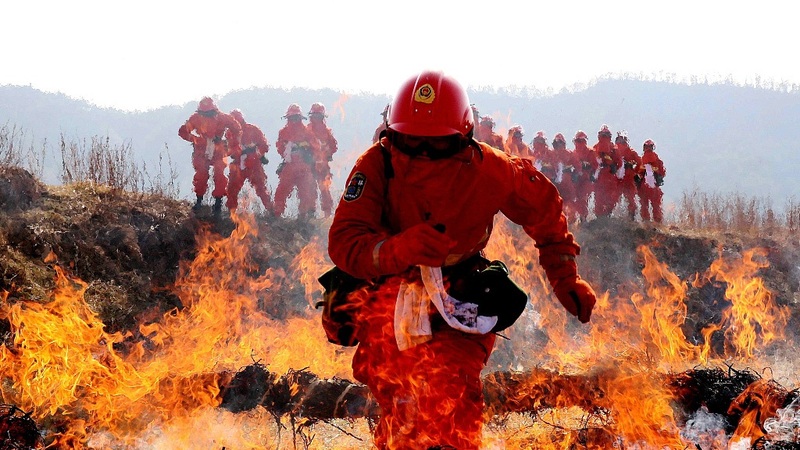 Around 5 pm on Saturday, the fire was found to have started in the northeastern part of the forest, according to the sources with Muli County, Liangshan Yi autonomous prefecture. So far, 350 firefighters are battling the fire and other 440 locals from neighboring towns have rushed to the site. 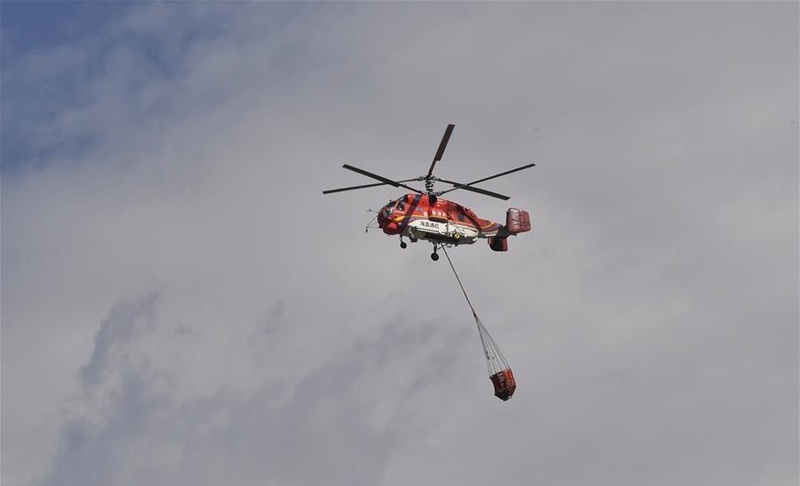 The area burnt by the fire is estimated to be 5 to 10 hectares, spreading due to windy weather. 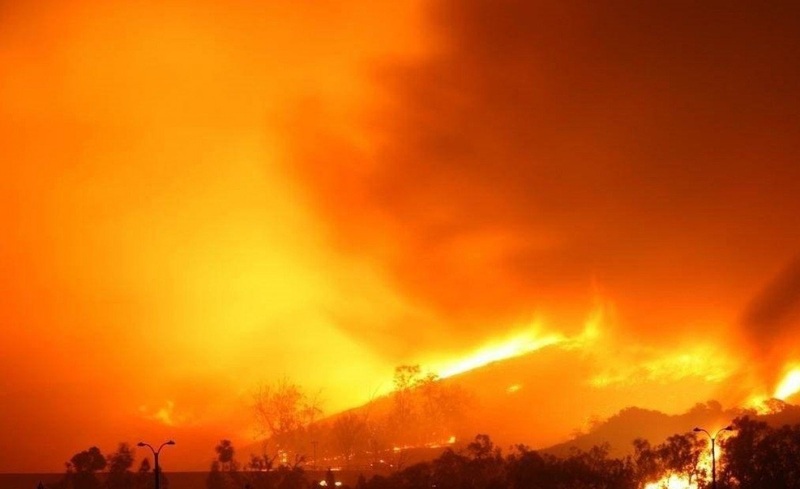 The forest fire first broke out at around 6 pm on March 30 at a remote spot in the mountains at an altitude of over 3,700 meters in Muli County. Local authorities dispatched more than 600 people to put out the blaze. After engulfing about 15 hectares of forest, the blaze was initially extinguished Tuesday. A lightning strike has been confirmed as the cause of the fire, local authorities said earlier. The restarting of the fire was caused by strong wind in the area.